Over the years I have read and passed on to my patients the benefits of exercise on quality of life and healthy aging. This hypothesis was supported by a recent publication in the journal “Primary Care” by Peter Lin, MD, CCFP. Dr Lin and colleagues followed a group of woman aged 38 to 60 years for 44 years to determine the relationship between fitness and development of dementia. They chose to follow 191 women from a group of 1462 patients and selected a balanced number of patients in each age group up to age 60. They performed a physical fitness test on the women in 1968 and then grouped them into high fitness category, intermediate fitness category and low fitness category based on their performance in the physical fitness test. The women then received neuropsychiatric evaluations in 1974, 1980, 1992, 2000, 2005 and 2009. The patients within the high fitness group showed an 88% reduction in dementia rate compared to those with medium fitness. Those in the lowest fitness group had a 41% increase d risk of dementia compared to the medium fitness group. Those patients in the high fitness group who developed dementia showed symptoms 9.5 years later on average than the patients in the medium fitness group. The message for young adults is simple. 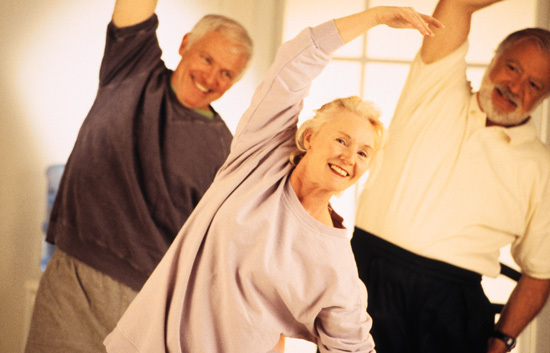 Stay fit at a high level doing something you enjoy and you may reduce your risk of developing dementia by up to 90%. I was out doing my morning two mile trot on an unseasonably cool late spring morning in South Florida. The crispness of the day, coupled with unexplained lack of my normal warm up aches and pains made me particularly frisky. I had walked the dog for a few miles slowly, then engaged in my normal pre-run stretching routine and felt unusually energetic and fluid. I was enjoying the outdoors and weather, while listening to music on my play list and struggling to stay within the parameters of speed, pace, and target heart rate appropriate for a 67 year old man. The inner competitor within me was screaming, “You feel great, go for it.” Moderation and common sense are always the great traits to keep exercising and not injured. The inner stupid competitor in me said pick up the pace. I did pick up the pace. I completed my course far quicker than usual. I performed my cool down and stretching routine and was feeling pretty cocky about doing more than I should when I heard that rumble in my gut and saw the distention begin. The distention was followed by cramps, gas and profuse uncomfortable loose stools for several hours. My gut was sore and my appetite was gone. I mention this after reading an article review in MedPage Today about a publication in the journal Alimentary Pharmacology and Therapeutics published by Ricardo J.S. Costa, M.D., of Monash University in Victoria, Australia. He and his colleagues showed that exercise intensity was a main regulator of gastric emptying rate. Higher intensity meant causing more disturbances in gastric motility. High intensity exercise at a rate you are not used to for a period of time longer than you usually exercise leads to gut problems including all the issues I experienced. Low to moderate physical activity was found to be beneficial especially to patients, like myself, suffering over the years from irritable bowel syndrome. The researchers found that ultra- endurance athletes competing in hot ambient temperatures running in multi stage continuous 24 hour marathons were far more likely to develop exercise associated GI symptoms than individuals running a less intense half marathon. The results are fairly clear for us non ultra-endurance athletes. There is great wisdom in regular moderate exercise to keep your effort within the parameters your physician and trainer recommend based on your age and physical training. Even if it’s a cool crisp day and you feel that extra surge of adrenaline and competitiveness, moderation is best for your health and your gut. I hope the competitor in me remembers that the next time the urge to push the limit pops up. Years ago I attended a Weight Watchers meeting in Brooklyn, NY with the lecturer being their public founder Jean Nidetch. She joked about her sugar free gum, sugar free soda and sugar free snacks contributing to “artificial diabetes.” She drew a big laugh but little did she know her comedy may have a ring of the truth to it. Researchers have now published reputable data that drinking a diet soda daily greatly increases your chances of having a stroke or developing dementia. In an observational study, researchers using data from the Framingham Heart Study Offspring cohort noticed that individuals who drank diet soda and used artificial sweeteners were at an increased risk of ischemic stroke and all cause dementia when compared to individuals of similar age and risk factor stratification that did not use artificial sweeteners. Their data was published in the neurology journal Stroke. This is an observational study which cannot show cause and effect but uses the analogy and theory “where you see smoke there is fire”. In an unrelated study, researchers looking at how we metabolize sugars noted that consuming artificial sweeteners may lead to larger food and beverage intake and ultimate weight gain. The data was not much better when they looked at individuals who consumed real sugar in sugary drinks. They noted that sugary drinks accelerated the process of aging in cells. This was somewhat in conflict with the original study referenced in which consumption of sugary beverages did not appear to have an association with stroke or dementia. Clearly the data is confusing as to what to do. Once again moderation with diets with controlled portion size, limited chemical and antibiotic exposure and; rich in vegetables as well as fruits and nuts with a high quality protein seems to be the direction to go. No matter who studies the Mediterranean type diet the results are favorable. Once again I lobby for nutritional training in the elementary, middle and high schools with healthy cooking and preparation classes as a sound investment for a healthier population in the future. The classes should go as far as teaching students how to create their own gardens and grow some fruits and vegetables on their own for home consumption. We may not be able to impact the adult population in mass but at least let’s give the children a chance. Water and many diet beverages quench your thirst and are listed as providing no energy or calories to your daily intake. With this in mind, researchers at the University of Nottingham in the United Kingdom set up a definitive study to assess the effect of water on weight loss after a meal versus a diet beverage’s effect on weight loss. Ameneh Madjid, PharmD and associates looked at 81 overweight and obese women with Type II Diabetes Mellitus. Members of the group were either asked to continue drinking diet beverages five times per week after lunch or substitute water for the diet beverages. The researchers found that over a 24 week period, the water group had greater decreases in weight, body mass index, fasting plasma glucose, fasting insulin homeostasis and two hour post-meal glucose readings compared with the diet beverage group. A similar study published in the American Journal of Clinical Nutrition looking at 89 obese women found that after six months the water group had lost an extra three pounds compared to the diet beverage group. As a clinician, the idea of putting water into your body as opposed to diet drink chemicals makes great sense. There have been some researchers who felt that diet beverages eliminated calories in soft drinks but that users consumed more dietary food and calories when drinking diet beverages as opposed to water. I will suggest to my patients that they try water instead of diet beverages but remind them that an occasional diet beverage probably will not hurt their long term goals. Junxiu Liu, MD, of the University of South Carolina published an article in the September 15 , 2014 edition of the Journal of the American College of Cardiology showing that exercise and improving fitness levels prevented an age related expected rise in patient systolic blood pressure. His study followed 14,000 men for 35 years. Sedentary men started to see their systolic blood pressure rise at about age 46. Men who were fit delayed this rise in blood pressure until they were 54 years of age. The effect on the diastolic blood pressure was even more pronounced when looking at fitness levels. Men with low fitness ratings elevated their diastolic blood pressure to above 80 by age 42. Those men with a high fitness level did not see the rise in diastolic BP until they were beyond age 90. His research suggests that “highly fit men are likely to reach abnormal BP readings a decade later or more than sedentary men. In an unrelated study published in the same issue, researchers in Texas found that regular aerobic exercise prevented the hearts left ventricle or main pumping chamber from developing stiffness. The stiff ness of the ventricle contributes too many common cardiovascular conditions effecting older patients. They found that low levels of casual lifelong exercise such as four (4) sessions of 30 minutes per week throughout adult hood was sufficient to keep the ventricle from stiffening. Marco Perez, MD of Stanford University looked at exercise levels in women and the development of the heart arrhythmia atrial fibrillation. He found that sedentary women were much more likely to develop this pathologic arrhythmia than women who exercised regularly. 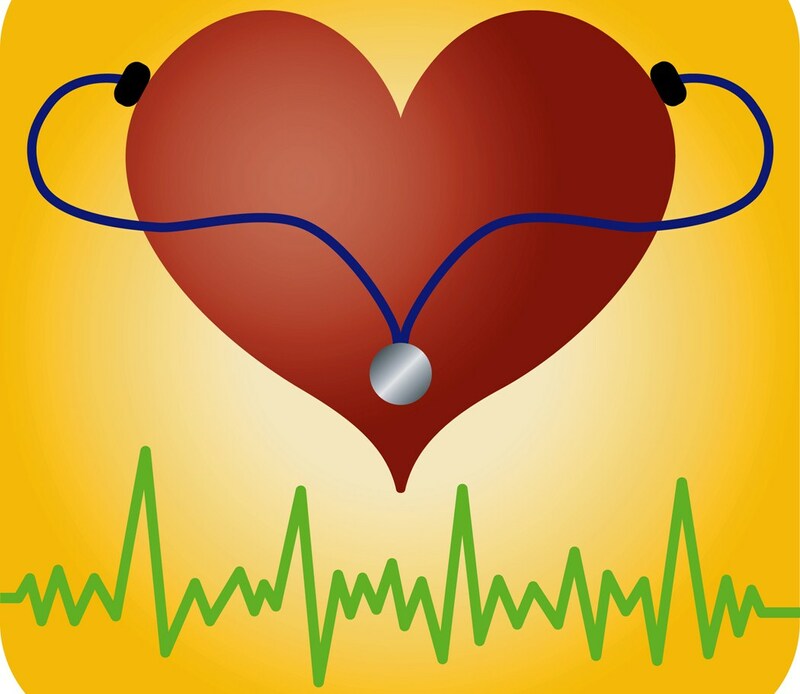 Obesity and being overweight is a risk factor that increases your chances of atrial fibrillation. Regular exercise by obese women reduced this risk by about nine percent (9%). The message is very clear that keeping moving and being active improves your blood pressure control and reduces your risk of developing many cardiovascular related problems. My advice is find some activity you enjoy doing and make sure you try it several times per week to gain the natural benefits the exercise provides.